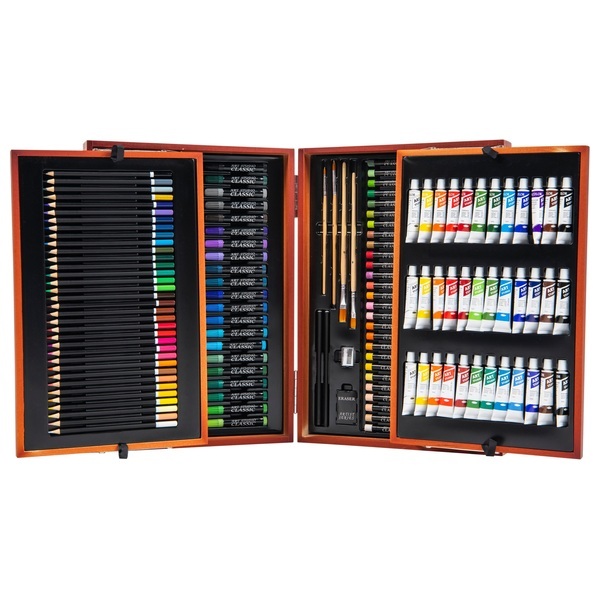 This 175 Piece Wooden Art Set has all you need to get creative. Children can spend hours creating beautiful pictures and designs with their easy to transport Wooden Art Set. See the difference you can make in your pictures by trying out all the paints, markers and colouring pencils in this Art Set.